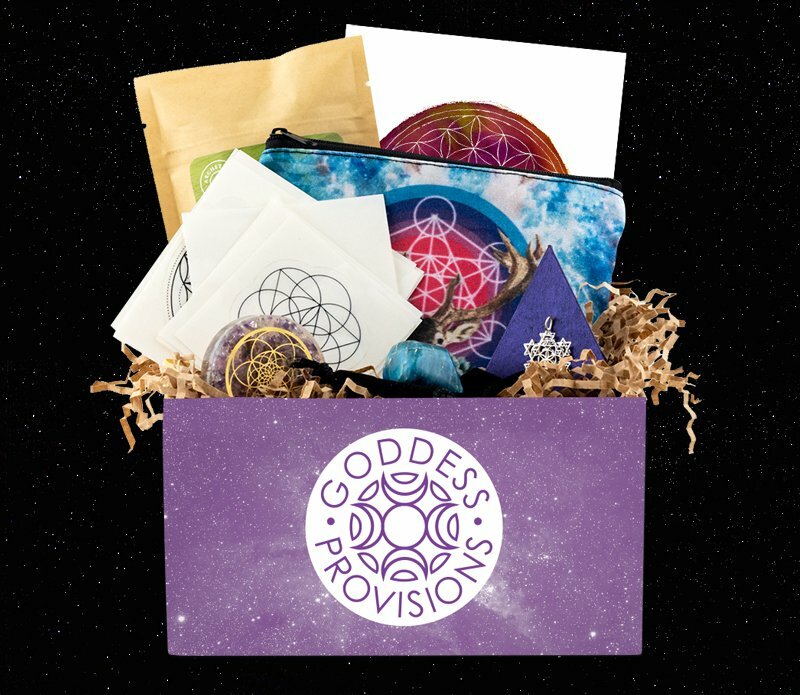 Store your spiritual supplies in this mystical pouch representing the regenerative energy of sacred geometry as well as the grace and intuition of deer medicine. This symbol merges the Six Pointed Star, also known as the Merkaba, and the Seed of Life. It represents the transcendence of the masculine and feminine principles of duality. Wear this talisman and be reminded of your cosmic nature and connection to the Galaxy. Place these prismatic stickers on your windows and let light filter through the geometric symbols to charge your sacred space. This tea blend is formulated with herbs like ginkgo biloba & gotu kola to enhance concentration, insight and creativity. Brew a warm cup and allow your mind to tune into the patterns of the natural world. Look to the center of a rose bud and you’ll get a glimpse of the sacred geometry infusing this luscious chocolate. 70% cocoa and sweetened with organic coconut sugar—taste to enjoy the beauty of the universe. Clear yourself, technology devices or your sacred space of negative energy with this orgonite disk featuring the “Dream Seed” design from @seedofcreation and made with a powerful blend of crystals and metals. This box will ship within 1-4 business days.